Catalyst aims to excite and enthuse your pupils about STEM (Science, Technology, Engineering and Maths) subjects and we have an extensive education programme of workshops and special events for you to choose from. As the new Mersey Gateway Bridge is just outside the windows at Catalyst, we are an exciting destination to get your pupils thinking about engineering – why not come and have a go at building our 13m cable stayed suspension bridge? We are also pleased to be able to offer free careers events aimed at year 8/9 pupils where they get the chance to meet a number of scientists to learn about a variety of scientific careers. Special events and shows run at certain times of the year, such as RSC Chemistry Week in November and National Science and Engineering Week in March. Hands-on workshops are available at most times throughout the year. Where the workshop is listed as being suitable for more than one age, the content is differentiated accordingly. Many of our activities can be adapted for different age groups and abilities. You can always give us a call to see how we can tailor a visit specifically for your pupils. 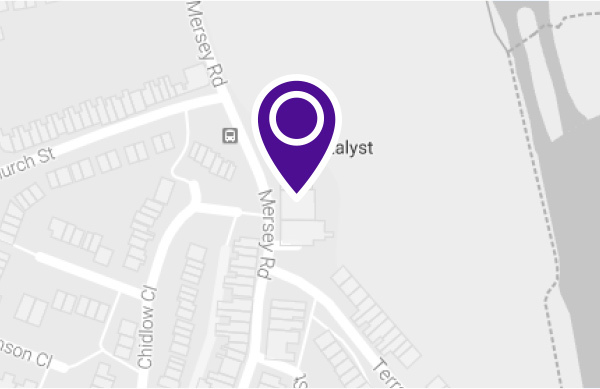 It is really easy to book a school visit to Catalyst and this can be done either by email or over the phone.